Waste management specialists Cleansing Service Group (CSG) have appointed Helen Bentham to take on the key role of National Accounts Manager. Her remit will be to expand the company’s portfolio of Total Waste Management (TWM) customers as well as working with CSG clients operating nationally, including utilities, supermarkets and forecourt chains. 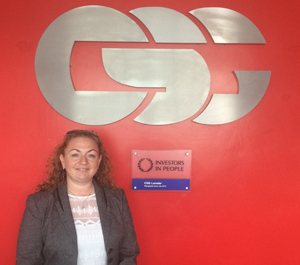 Helen joins CSG from industrial waste managers Tradebe where she spent eight years as UK Total Waste Management Contracts Manager. She has also worked at Veolia as part of her 20 years experience in the waste management industry. She will be based at CSG’s industrial waste treatment facility at Cadishead, near Manchester. CSG is the UK’s second largest independent operator in the sector, and TWM services are one of the company’s priority growth areas. As well as waste collection, treatment and recovery, the fully integrated service includes technical advice, risk assessment, site investigation and maintenance programmes.